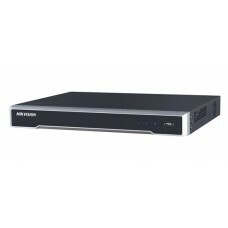 Hikvision DS-7608NI-K2 8-Channel Embedded NVR. 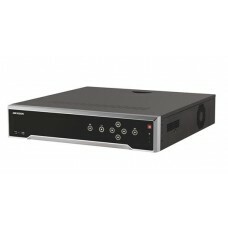 Up to 8-MP resolution recording; VGA output at up to ..
Hikvision DS-7616NI-K2 16-Channel Embedded NVR. Up to 8-MP resolution recording; 160Mbps record band..
Hikvision DS-7608NI-K2/8P 8-Channel Embedded Plug & Play NVR. 8 Independent PoE network interfac..
Hikvision DS-7616NI-K2/16P 16-Channel Embedded Plug & Play NVR. 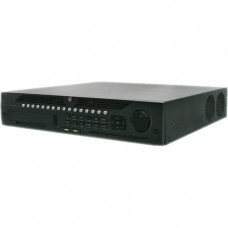 16 Independent PoE network inter..
Hikvision DS-7716NI-I4 16-Channel Embedded NVR. HDMI and VGA output at up to 1920×1080P resolution; ..
Hikvision DS-7732NI-I4 32-Channel High End Embedded NVR. Bandwidth (In / Out): 256/256 Mbps; Up to 1..
Hikvision DS-7716NI-I4/16P 16-Channel Embedded NVR with PoE. 16 Independent PoE network interfaces; ..
Hikvision DS-7732NI-I4-16P 32-Channel High End Embedded NVR with PoE. HDMI and VGA output at up to 1..
Hikvision DS-9632NI-I8 32-Channel Professional Embedded NVR. Incoming / Outgoing bandwidth: 32..
Hikvision DS-9664NI-I8 64-Channel Professional Embedded NVR. HDMI1 output at 4K & VGA1 out..